Her name was Irlanda. I’d never known anyone by that name and I would know her for less than 24 hours. Months later I’m barely able to conjure up her face. But Irlanda’s words to me — they left a deep impression. One that reminds me why I left home. 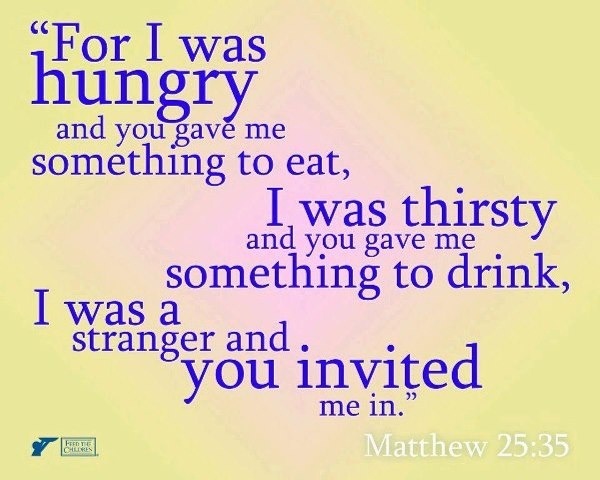 Just weeks into my service at the Nazareth Hospitality Center in El Paso, Irlanda and her scrawny, eight-year-old son with the impossibly innocent smile show up at our door. I’m still struggling through Spanish phrases and trying to understand people’s questions. Still learning how to make these strangers feel welcomed, what questions not to ask, and how to listen with my eyes since my ears aren’t doing me much good. Always there’s lots to be done at Nazareth. Rooms to be cleaned. Intake records to be entered into the system. Volunteer drivers to be called for rides to the bus station. Clothing to be sorted and folded on the tables in the donation room where the next arrival of women will soon dig through the neatly stacked piles seeking a pair of jeans to fit their short, lean figures. But that day I take time to accompany Irlanda and her son to the moneygram office so they can obtain the cash a relative has sent for their 3-day bus trip. Located just around the corner and a few blocks down on Montana Avenue, the place isn’t hard to get to. But for a young woman from a village in Guatemala, walking along streets loaded with cars, stores, and stoplights could be an overwhelming adventure. I offer to go with her. As we walk, I fumble through conversing in Spanish. Suddenly Irlanda stops and points her son’s face toward the sky. “Mira!” she tells him. A jet plane soars overhead. Mother and son stand close together, smiles spreading across their faces. I can only imagine what it must be like to see an airplane for the first time. And then I’m imagining all the firsts they’ll be experiencing on this journey. At bus depots. Transfer stations. Places where she tries to buy food. She admits to me that she’s scared. Scared of what she’ll find in this country. This woman who has traveled thousands of miles across dangerous Mexico with her young son. I’m praying people will be kind. Later in the day, it’s time for the driver to come take Irlanda and her son to the bus station. We hug goodbye. She asks God to bless me and surprises me by saying she thanks God for me. Her eyes reveal the impact I have made. Then she says something that really humbles me. 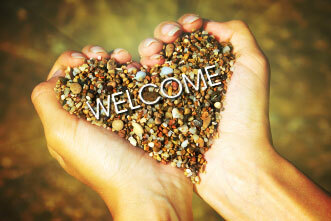 How I am following what the Bible teaches by loving my neighbor and welcoming the stranger. All I did was show her some kindness. She has given me much more. Irlanda reminded me of the call within. A call I experienced long before I met her. 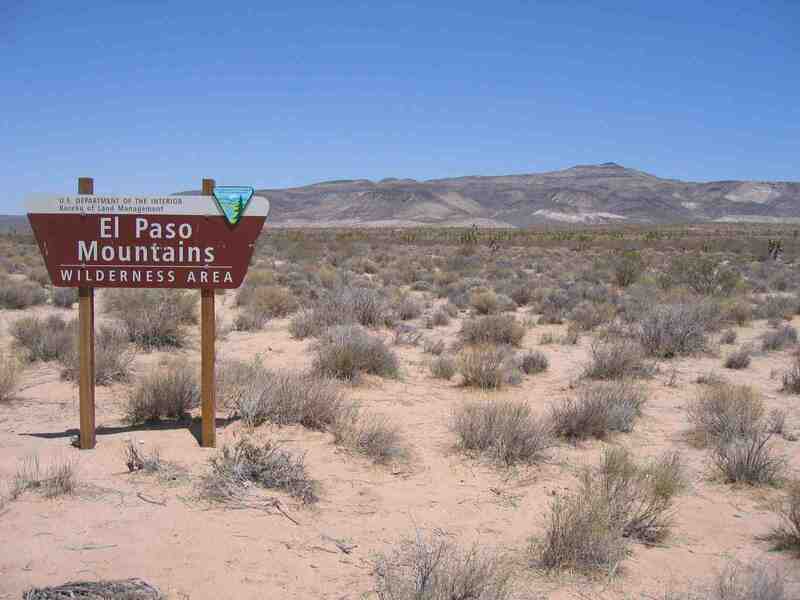 These days I feel worlds away from the border of El Paso. But I haven’t forgotten. Can you risk opening your heart to the call within? Maybe you’ll discover why you are here. Up until now I’ve had the surety of a place to lay my head. The security of room and board. That all changed when, a little over a month ago, I decided to pursue the possibility of serving a different ministry than the one I started out with here in San Antonio. Still with Incarnate Word Missionaries, but in a different capacity. Since arriving last July, I have been discerning and questioning, why am I here? I found the ministry in transition, with only one mom and child to serve, and, for various reasons, I clearly felt it wasn’t the best use of my gifts and talents. Most importantly — my heart wasn’t in it. I wasn’t experiencing joy in the sacrifices that I’d made to be here. Yet, I knew that joy was possible. I’d felt it in El Paso. Then I discovered Women’s Global Connection. Also a ministry of Incarnate Word Missionaries, WGC supports projects empowering women in countries like Zambia and Peru. And they had a need for a writer. It seemed like a good alternative. So, I spoke to the director of the program and the Sisters in my current ministry and we all agreed. I should move on. The Sisters gave me until the end of October to get situated in the new ministry. I thought a month was plenty of time. Until I realized that housing would be an issue. It seems the only “official” housing for lay missionaries here is associated with the program I’m leaving. That means other Sisters, another intentional community, or some kind person would have to be willing to take me in. The director of the program searched for housing options for me. I searched too. By the end of the month, nothing had materialized. But that’s not a bad thing. Because as the deadline drew near, it pushed me to go deeper into my heart. And ask those tough questions. Again. Questions like, what is the best use of my gifts and talents? What do I really want? What is my purpose here? The response pointed me back to El Paso. Where a piece of my heart remains. Although I needed to take this risk in coming here, San Antonio is not where I’m meant to land. Another, and greater, risk is being asked of me now. I hear my heart telling me to stop holding back. To acknowledge and trust my gifts. To use them in the service of others. Especially my writing. And I hear the voice calling me back to serve on the border. And write about the issues that need our attention. Issues that need a compassionate voice. The issues of immigration. And human trafficking. And the lives of those impacted by the decisions we make every day. It will mean taking an even greater risk, though, because I don’t know how I’ll support myself. I don’t yet know for sure who will take me in. I have the possibility of a place to stay beginning in December. But lots of unanswered questions remain. Can I trust my inner authority? Can I trust the God who brought me here? This Loving Presence that wants me to realize the fullest expression of who I am? I’m on this adventure with God. Heading toward something I can’t reason or explain. And sometimes I do feel scared. I wonder, isn’t this the definition of faith? With my other ministry ended, I started serving Women’s Global Connection, which I’ll continue doing through the month of November. The Sisters have graciously allowed me to stay in this apartment a little longer than October 31st, but I need to move by the end of the week. I couldn’t have told you for sure where I was going to be sleeping next week. Until today. One of the staff at WGC offered me a room in her house for the month. Talk about getting what you need when you need it! Now I have a safe place to lay my head for another month. It’s something I always used to take for granted. But on those nights when I started feeling anxious, wondering where I’d wind up, I thought again about the children at the border — those migrating with their moms and those traveling alone. I wonder if they will be so fortunate. How many of them will have a safe place to lay their head tonight? The desert has spoken to my heart. In so many ways. Through so many people. As I prepare to return to Virginia tomorrow, I’m finding it hard to convey the richness of my experiences, the warmth and generosity of the people, and the many powerful ways that they and this place have touched my heart during these two months. I came with so many questions, doubts, uncertainty as to why my heart was calling me here and what I would do exactly. My Spanish was limited. My goals unclear. My future uncertain. I only knew I was following a fire in my heart. But I kept asking God why? Why have you put this on my heart? Answers evaded me. Some time ago I realized I had stopped asking the questions. I finally understood, deep within myself, that this is exactly where I was meant to be. Everyone and everything I encountered has been speaking to me. All have been teaching me, molding me, preparing me for the next step, whatever that may be. I still don’t know. I know that I cannot be silent. I will use my voice to speak of what I have witnessed here, to be a voice for others who can’t speak for themselves. I know that I will not return to the same life I had before. It’s not possible. Something within me has changed. I know I will carry in my heart the people I have met. People like the wonderful women to whom I taught English at Centro Mujeres de la Esperanza — a center where Hispanic women come to learn new skills and to share their stories. We have joked and laughed together, and they would greet me with hugs and kisses on the cheek. Their final goodbye involved a homemade chocolate cake layered with strawberries—my favorite—and gifts, and, of course, more food. They told me they will miss me. I already miss them. People like Katie, the director of Las Americas, and her staff who work tirelessly to represent immigrants in their cases for asylum and other human rights issues. People like Victoria, “the bean lady”; Pat Cane, the founder of Capacitar; Sylvia, who shared her faith story with me and drove me around El Paso; and all the women I met at the detention center, at the Centro Santa Catalina sewing cooperative, and in the colonias. I’m especially thinking of one of the women I helped to study for her citizenship exam. A very bright young woman, who knew all 100 answers the very first time I quizzed her. Yet her anxiety as the exam date drew near caused her to begin making mistakes. Inspired by Capacitar, I taught her a spiritual practice to help ground and relax her. The morning of her exam, I prayed and anxiously awaited her phone call. But she never called. Instead she drove over to share the news with me in person. She had passed! We squealed like excited children. Before we parted, she told me she thanked God for putting me on her path. And she cried. 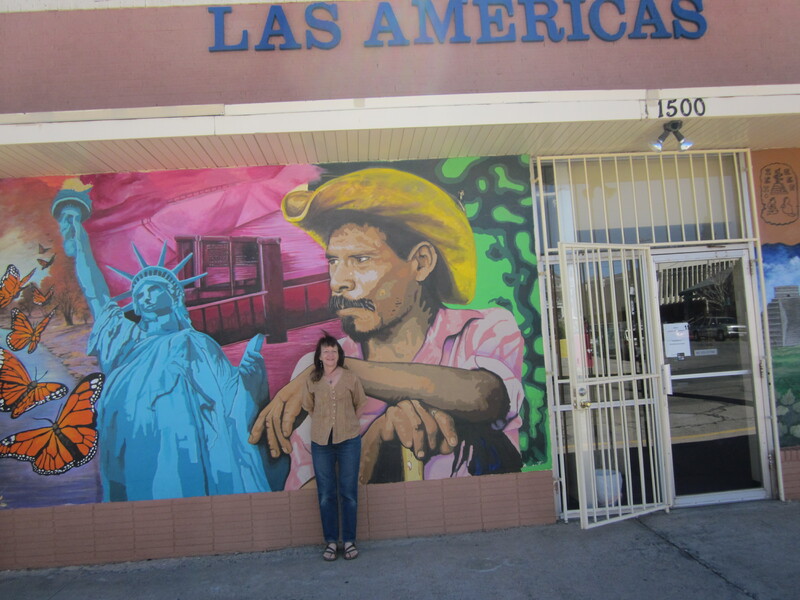 Then there are the people I met in Juarez. Zeferina, extremely poor and blind from diabetes, yet she teaches catechism every Sunday with the help of her young daughter who serves as her eyes. This woman’s deep peace and trust of God was so evident in her face, her stance, her composure, and her kindness. Esperenza, a poor widow who cares for a disabled man in her home because his family threw him out. 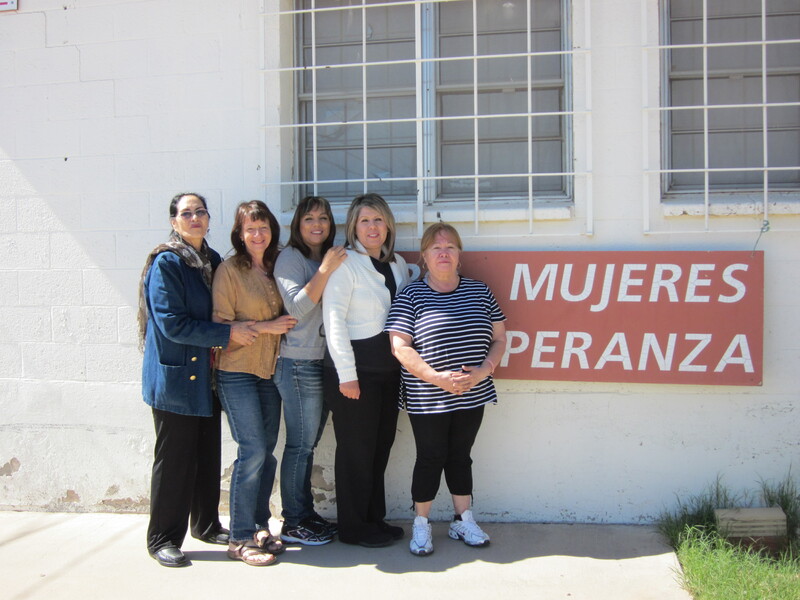 And, of course, the sisters who live and work in Juarez, serving the poorest of the poor and standing up for human rights. Lastly, there’s the School Sisters of St. Francis with whom I’ve been staying in El Paso. 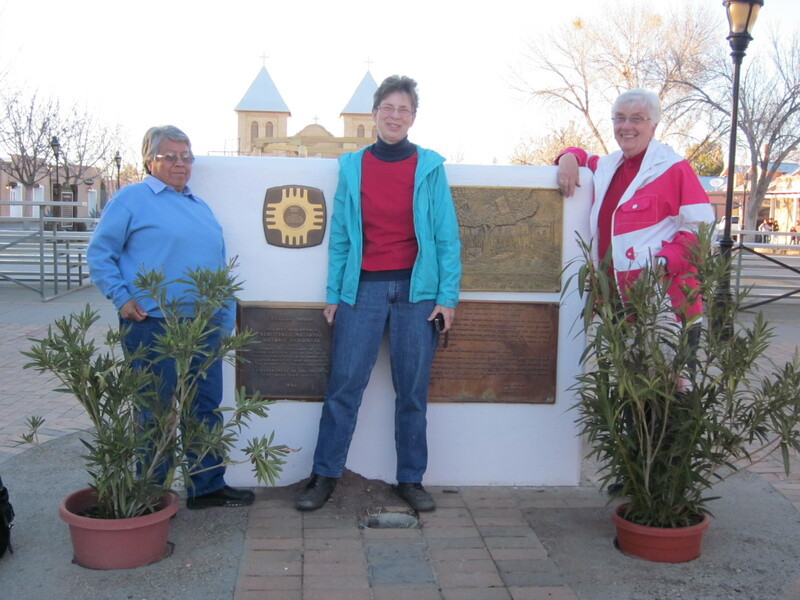 Sr. Elsa, Sr. Kathy, and Sr. Fran on a fun trip to Mesilla, N.M.
Then each of the sisters expressed what they have seen and appreciated in me. What an unexpected and humbling gift! In that moment, I felt and heard God speaking to me. As it turns out, the sisters’ gift was the most powerful voice of all. A reminder of how loved I am, how loved we all are. God has definitely spoken to my heart here. And I now know how important it is to listen and follow.